The continuing decline in the value of Indian goods exports is partly the result of lower commodity prices. 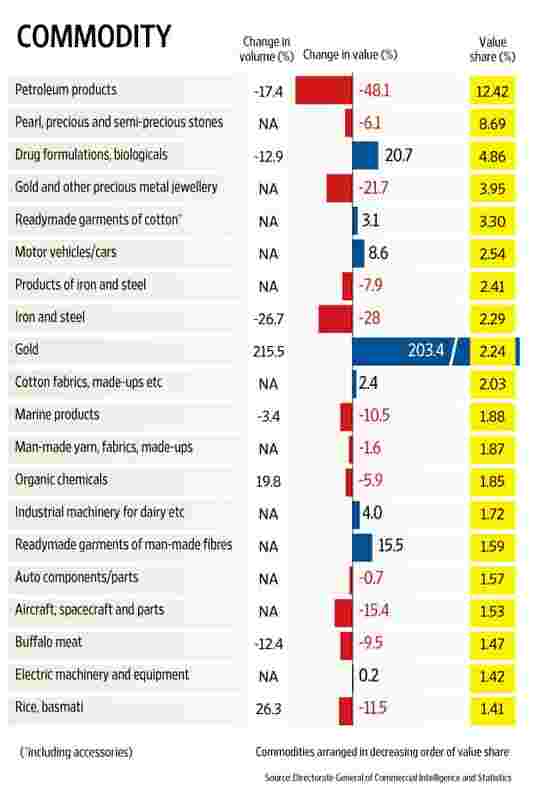 Beyond that, the decline in value terms masks a fundamental problem facing a chunk of Indian goods exports: a drop in demand, which points to a sign of competitive weakness. Granular volume data, on a selective basis, was available for the six-month period from April to October 2015, during which Indian exports declined 12.3% in value terms over the 2014 corresponding period. Of the 76 commodities for which volume data was available and which accounted for 44% of Indian exports during this period, nearly half registered a drop in quantity sold in 2015. 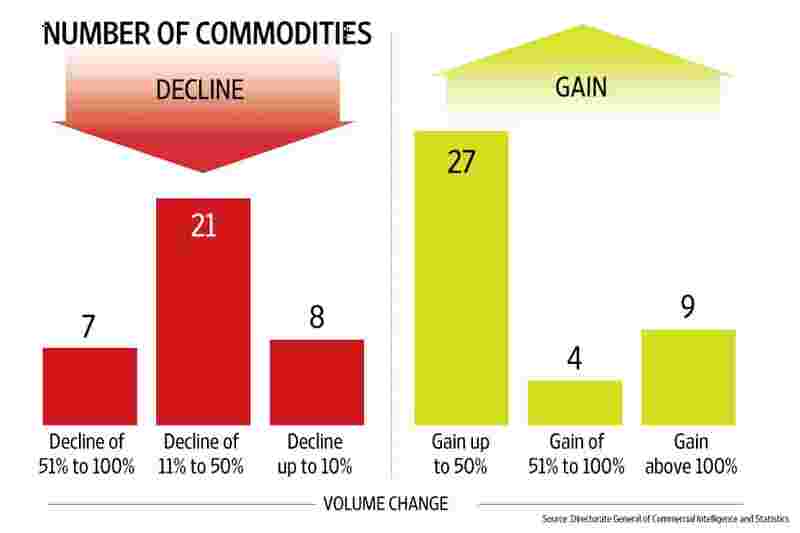 Of the top 25 commodities by volume in our list of 76, as many as 12 registered a drop in quantity sold. Their value share was 22%. 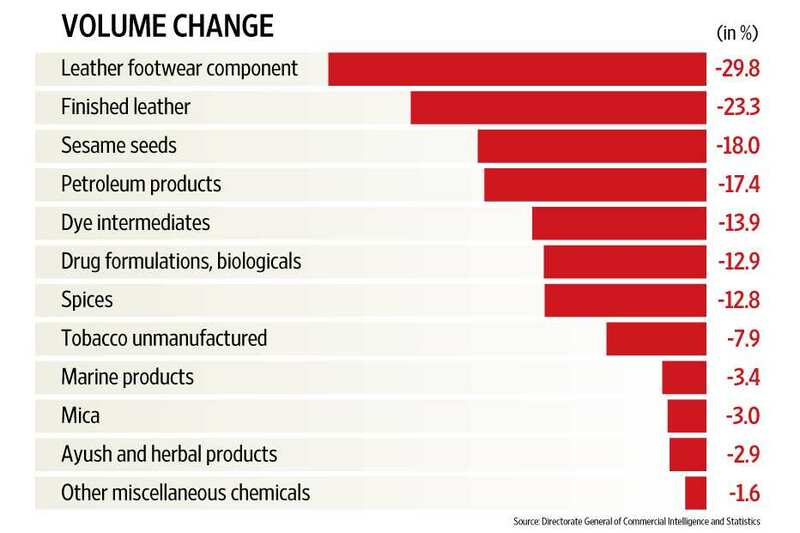 These cover both industries dominated by large companies (like petroleum) and those populated by medium and small enterprises (like leather, ayush products and milled produce). There’s pain being felt on the top also. Of the top 20 commodities by value, which accounted for 61% of all Indian exports, volume data was available for only eight. Five of these showed a drop in volumes. Of the remaining 12, for which volume data was not available, five showed a drop in value terms.